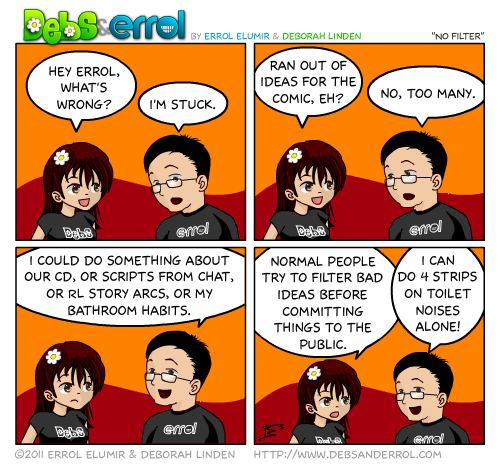 Errol: I was chatting with Debs on email and got a brain overload. That happens to me. I get confused on what I want to do, and then I stop. This happened on my birthday when Adam asked me my favourite video game. It happens when I have free time and no commitments and there are just too many fun things to do. First World Problems.